Geoscience Research Institute | What Can We Do at Home to Care for the Environment? As Christians, we believe that God created the Earth and us, and has entrusted us to care for the planet and each other. What are some practical things that we can do at home to care for the Earth’s environment? Before you step out in action, pray individually and with your family about what God desires your family to do in caring for His creation. Prayerfully consider the path He impresses on you. Perhaps He will lead you to start with simple steps. But first, as a family, learn to love God’s great outdoors. You can also lead children to learn more about creation by providing them books or magazines on nature topics. Every family should consider subscribing to a magazine that has well-written articles on environmental issues. Increased knowledge and awareness can lead to a greater desire to act and care for the environment. Visit state or provincial parks, pay the entry fee and write your name in the log of visitors. If you use a nature trail that has a registry, be sure to record your hike. The more these parks and trails are used the more likely they will continue receiving funding. Your family could plan to stay overnight in the park campground. The visitor or interpretive center may have much information, including special programs and hikes, where you can learn more about natural things, including the sky at night, animals in ponds or streams, the types of plants and birds nearby, and what you can do to help these plants and animals continue to thrive. While at the park you might also learn how you and your family might volunteer for organized data collection efforts, such as to count birds or plants for scientific surveys. Our environment is God’s gift to us. We live in it, we use it, and we enjoy it. It is also our responsibility to care for it. What are some practical things we can do to achieve this laudable objective? An easy way to start is by thinking recycle, reuse and reduce. Is there a recycling program in your neighborhood or city? Some household items that are commonly recycled are glass, paper, cardboard, metal cans, and plastics. Some places offer money for your old aluminum. It is easier and less expensive to recycle used aluminum than it is to mine and process it. Many cities have a public recycling center where you can deposit your recyclable items for free. Talk with family members about where in your home you will temporarily collect your items for recycling, and start a biweekly habit of making the trip to drop off your recyclables. Some cities also have curbside pickup of certain recyclables. Look in your phonebook yellow pages for recycling companies. They are becoming more common and many don’t require you to sort your recycling items; you may simply mix glass, paper, cardboard and metal cans together. Recycling companies have equipment that can separate these items. Consider reusing items and reducing your household waste. One easy item to reuse or reduce is your grocery bags. Use reusable cloth bags for your shopping, and avoid plastic bags. If you do get new grocery bags each time you shop, reuse them at home; instead of buying small garbage bags for your wastepaper baskets, reuse grocery bags. Other ways to reuse and reduce the amount of garbage you produce is to cut old clothes into rags for household cleaning; or donate used clothing and household items to a thrift shop so someone else can reuse them. Two examples of websites to assist communities to reduce the amount of waste going to landfills and to reuse items are the Freecycle Network and “Craigslist.” The Freecycle Network4 is active in over 85 countries; it is an e-mail list where you can list household items that you want to give away for free. Craigslist5 is also active internationally and has a free section to advertise your used items. Many things that your family doesn’t need anymore may be just right for someone else. Donate your time or money to an environment-friendly organization to help advance their work. There are international and local organizations that your family may wish to support. By making the choice to buy food locally grown, you are supporting your local economy and lowering the amount of gasoline or diesel used in food transportation from a distance away. The price may reflect lower transportation costs. Also, buying fresh produce means it might taste better, since it was more likely to have been picked when it was ripe. Your local market may indicate which produce was grown locally. You may have a local “farmers’ market” or food co-op near your home that you can patronize. Choosing to eat a diet that includes less or no meat and more plant-based foods will mean less pollution from animal feed lots (urine, antibiotics, and other waste materials from factory farms can seep into rivers and ground water).9 In addition, if fewer animals are raised for slaughter, the amount of grains that go into animal feed can be reduced and used for people instead. The amount of food the animals eat is huge compared with the amount of meat obtained from their slaughter. It is much more economical for people to eat grain and plantbased foods than to eat meat.10 Adequate protein is easy to obtain from a plantbased diet. For example, all essential amino acids are available in sufficient amount when a person eats a mixture of rice and beans, or corn and beans. Also, choosing to eat a plant-based diet reduces the demand for meat, and hence less slaughter of animals. Energy from both the wind and the sun can be harnessed to produce electricity. Burning less coal for household electricity consumption is better for the environment. If you live in a location where ordinances don’t prohibit wind turbines, consider buying and installing a roof- or tower-mountable vertical axis wind turbine.15 If your home doesn’t use all the energy produced by your wind turbine, the generator can be tied into the electrical grid, or you may store the energy in a battery. Some countries give tax credit for installing wind turbines. Solar panels are becoming more efficient and available for homes. European countries, such as Spain and Germany, are far ahead in solar power utilization.16 You can purchase solar panels for your home and/or use solar power to make hot water and for heating the home. Technology to make flexible solar cells is now also available for personal use to charge portable electronic devices, such as cellular phones and small computers. 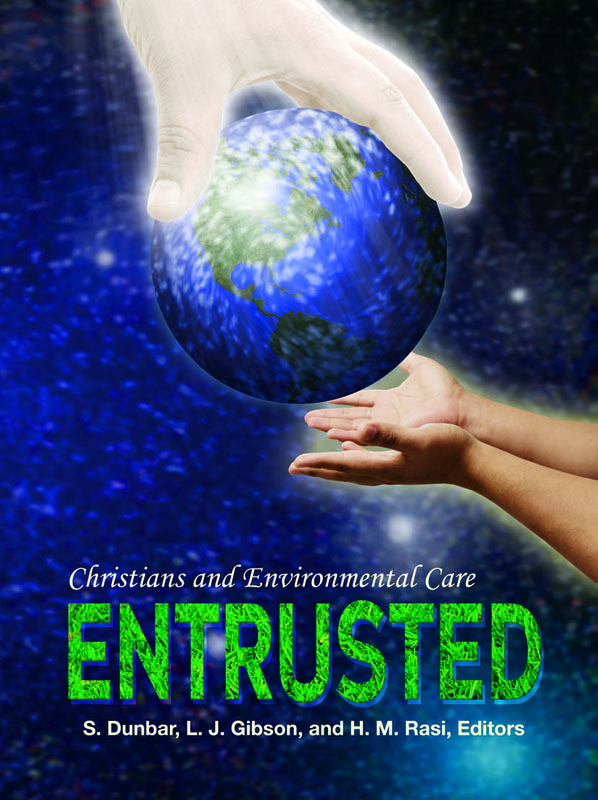 While your home and family can do much to care for the environment, as a Christian you have an opportunity and an obligation to make your church sensitive to environmental concerns. Share with your church the biblical reasons for taking care of God’s creation. Challenge your church as opportunity arises to be good stewards of Creation.17 Educate and work with your church friends, church elders, and your pastor to do simple things to care for the environment together: creating among church members an appreciation for nature by organizing walks and camps; printing church bulletins on post-consumer, recycled paper; placing and using recycle containers in the church building; and arranging seminars on some of the environmental concerns mentioned in this chapter, such as recycling, composting, catching rainwater, and being responsible stewards of God’s creation. Prayerfully consider the path God wishes for you and your family in caring for His creation. Let Him impress on you the first way for you to begin your practical care of the environment. Perhaps you will start a recycling system in your home. Or you might spend some time learning how to reuse more items instead of throwing them in the trash. Donate your time or money to an environment-friendly organization to help advance their work. Consider the possible use of wind or solar power for energy in your home. Whatever you choose to do, remember your first duty is to be a good steward of God’s creation. Carrie A. C. Wolfe chairs the Division of Science and Mathematics at Union College, Lincoln, Nebraska where she teaches chemistry. She received her BA in Chemistry from Union College and a PhD in Chemistry from the University of Nebraska-Lincoln. Since then she has taught at Columbia Union College and Union College. Sheri Amsel, 365 Ways to Live Green for Kids (Avon, MA: Adams Media, 2009). Alternate Water Reuse (Gabriola Island, BC, Canada: New Society Publishers, 2007). Robin Koontz, Composting, Nature’s Recyclers (Minneapolis: Picture Window Books, 2007). Diane Gow McDilda, 365 Ways to Live Green (Avon, MA: Adams Media, 2008). Clippings (Ojai, CA: Harmonious Press, 1992). Andrea Chesman, The Roasted Vegetable (Boston: Harvard Common Press, 2002). Mollie Katzen, The New Moosewood Cookbook (Berkeley, CA: Ten Speed Press, 2000). ———, Sunlight Café: Breakfast Served All Day (New York: Hyperion, 2002). 2 “Plaster cast animal tracks.” Available at: http://charlottemason.tripod.com/plaster.html. 3 “How to raise tadpoles.” Available at: http://allaboutfrogs.org/info/tadpoles/index.html. Wells, Kent, UK: Search Press, 1999). (Kalamazoo, MI: Flower Press, 1997). eat matter?” American Journal of Clinical Nutrition 89 (2009):1699S-1703S. 11 “Rainwater harvesting.” Available at: http://en.wikipedia.org/wiki/Rainwater_harvesting. Berkey water filter system (Berkey Water Filter. Water Purification Systems and Filtration. Available at: http://www.berkeyfilters.com/index.html. Accessed November 29, 2011). 13 RainGardens.pdf. Available at: ftp://ftp-fc.sc.egov.usda.gov/IA/news/RainGardens.pdf. iowa.org/. Accessed October 24, 2011.
http://www.allsmallwindturbines.com/. Accessed October 24, 2011. Responsibility to Environmental Stewardship (Norcross, GA: Ampelon Publishing, 2006). October 31, 2017 marked 500 years since Martin Luther strode through the crisp autumn air of Wittenberg’s streets, making his way toward the Castle Church. Clutched in his hand were nails, a hammer and a revolutionary document.